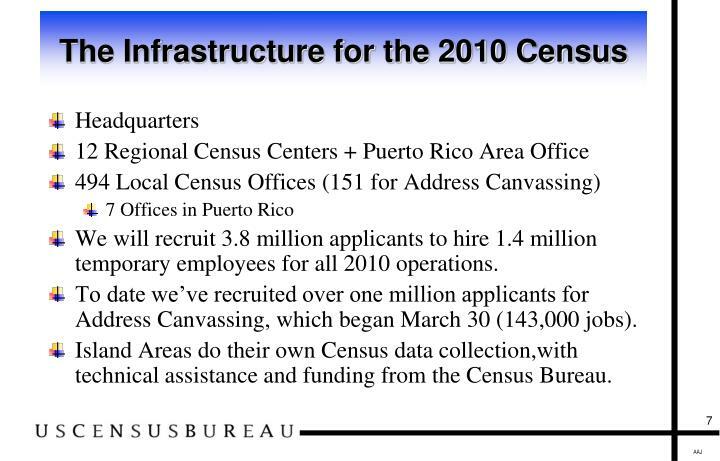 2010 CENSUS OVERVIEW. 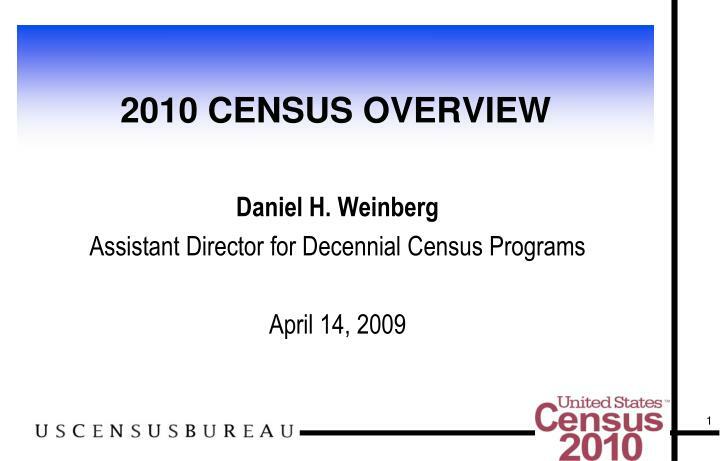 Daniel H. Weinberg Assistant Director for Decennial Census Programs April 14, 2009. 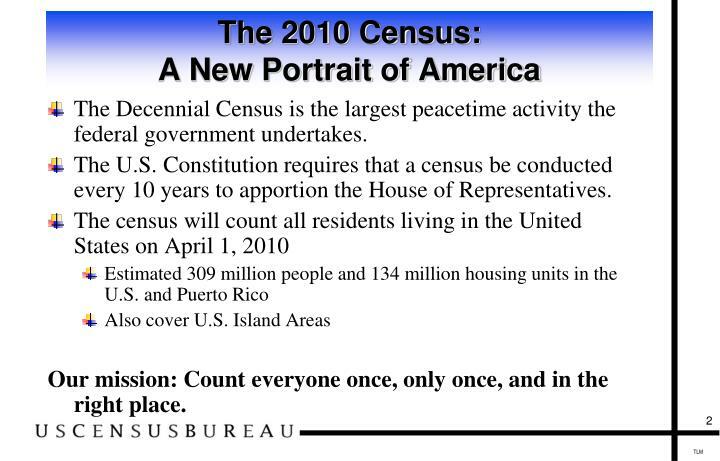 The 2010 Census: A New Portrait of America. 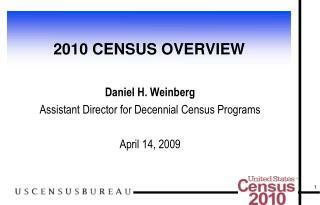 The Decennial Census is the largest peacetime activity the federal government undertakes. 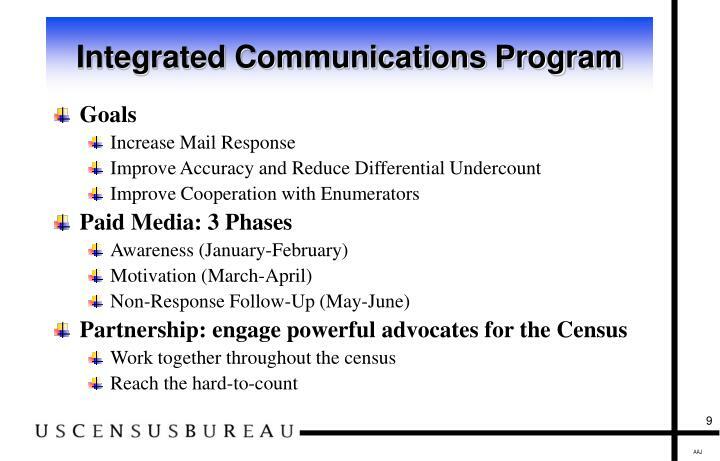 The Decennial Census is the largest peacetime activity the federal government undertakes. 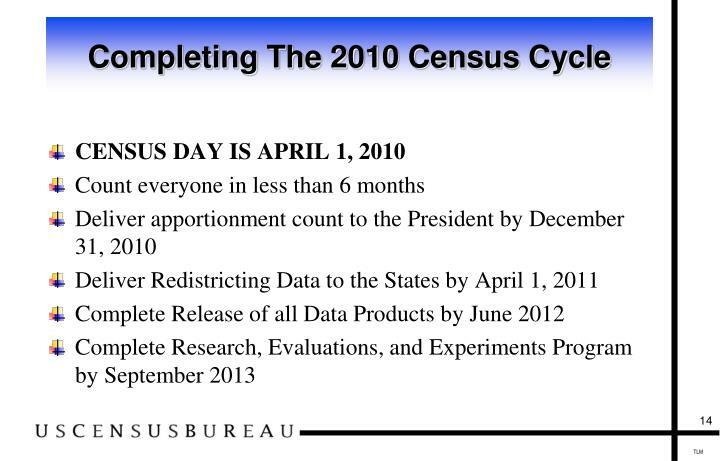 The U.S. Constitution requires that a census be conducted every 10 years to apportion the House of Representatives. Our mission: Count everyone once, only once, and in the right place. 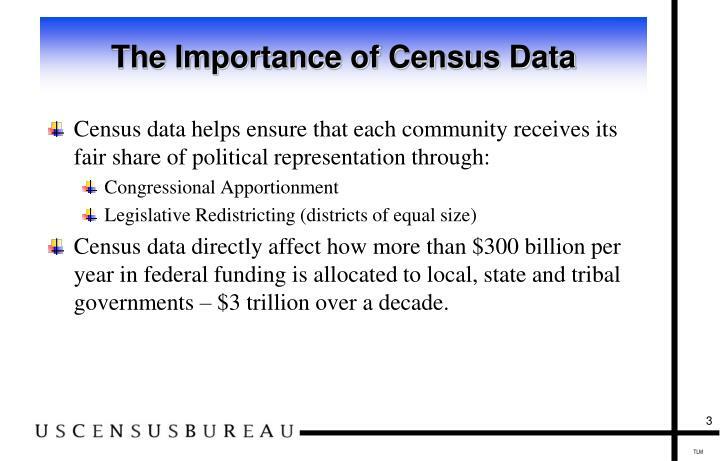 Census data directly affect how more than $300 billion per year in federal funding is allocated to local, state and tribal governments – $3 trillion over a decade. 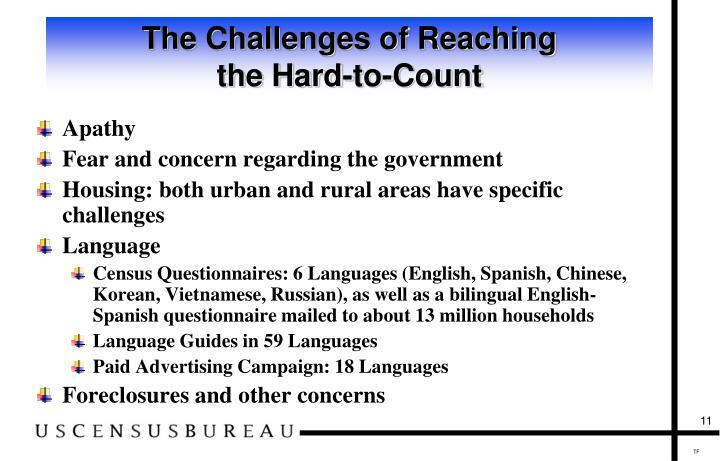 By a 1954 law, the Census is a mandatory activity – Title 13, U.S.C. Data are collected only for statistical purposes and it is against the law to disclose any data that identifies a person. Only sworn individuals have access to confidential information. 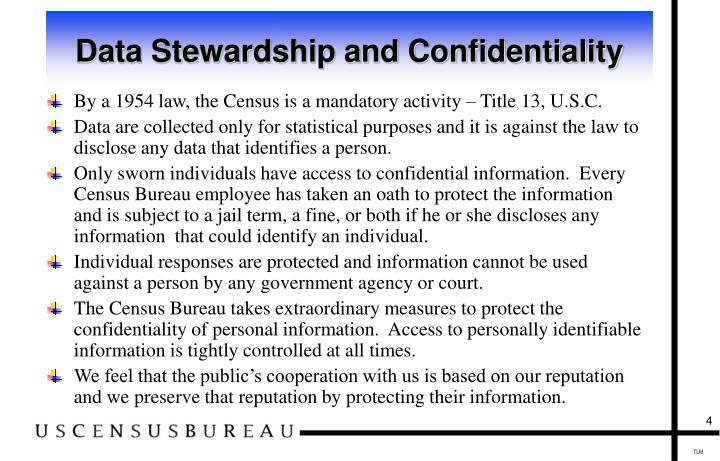 Every Census Bureau employee has taken an oath to protect the information and is subject to a jail term, a fine, or both if he or she discloses any information that could identify an individual. Individual responses are protected and information cannot be used against a person by any government agency or court. 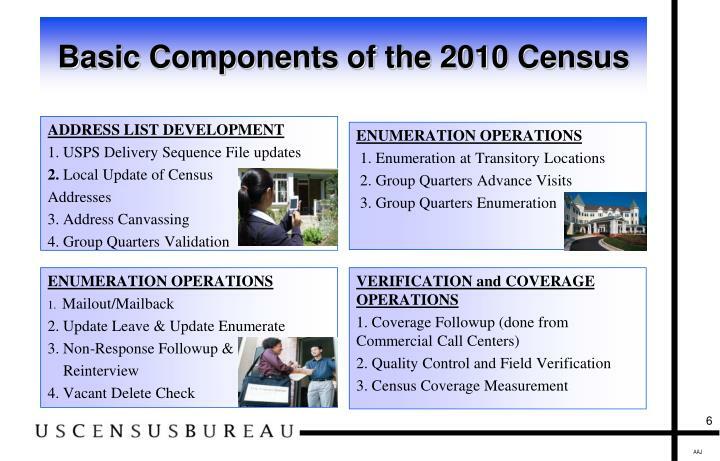 The Census Bureau takes extraordinary measures to protect the confidentiality of personal information. Access to personally identifiable information is tightly controlled at all times. We feel that the public’s cooperation with us is based on our reputation and we preserve that reputation by protecting their information. Collect long form information using the American Community Survey. Align all streets and features using GPS technology; collect GPS coordinates for housing units during Address Canvassing. Use a short form only in 2010 that will be among the shortest in history (10 questions for the first person, 7 for all others). 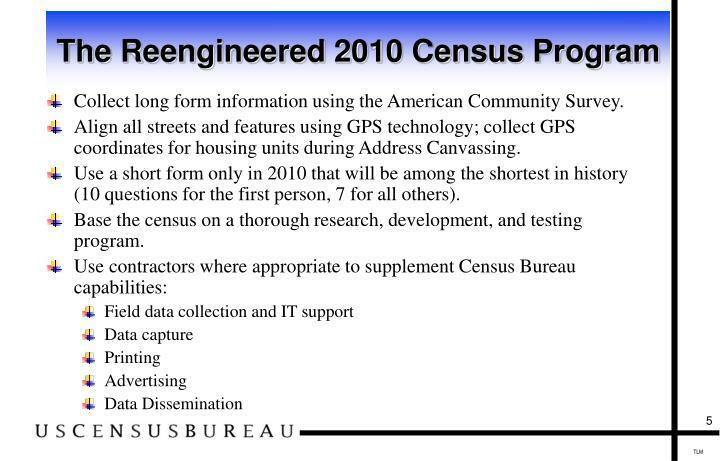 Base the census on a thorough research, development, and testing program. We will recruit 3.8 million applicants to hire 1.4 million temporary employees for all 2010 operations. To date we’ve recruited over one million applicants for Address Canvassing, which began March 30 (143,000 jobs). 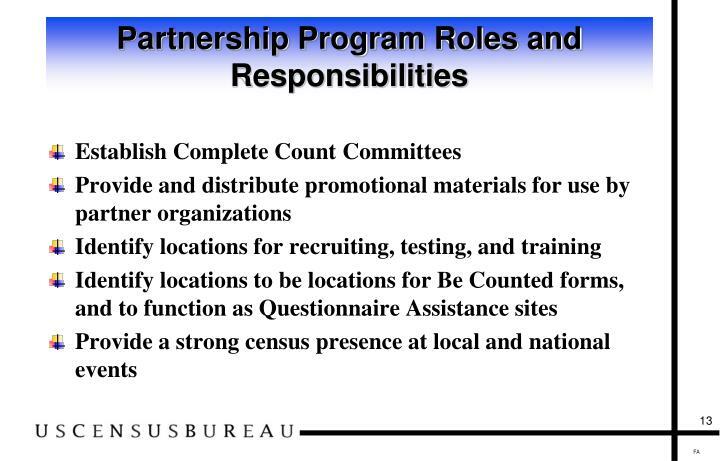 Island Areas do their own Census data collection,with technical assistance and funding from the Census Bureau. 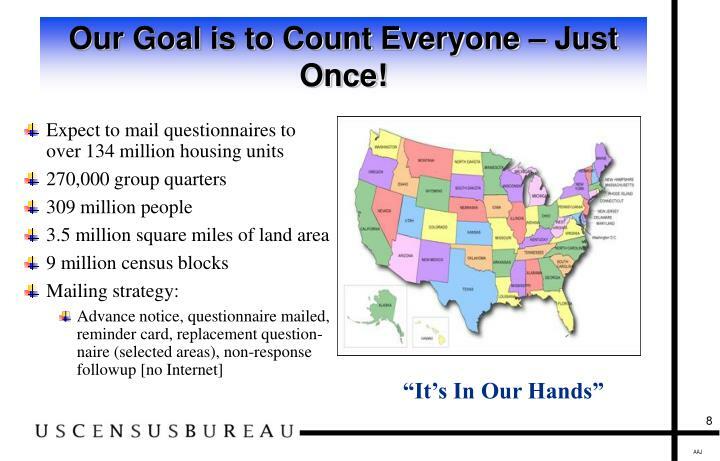 Our Goal is to Count Everyone – Just Once! 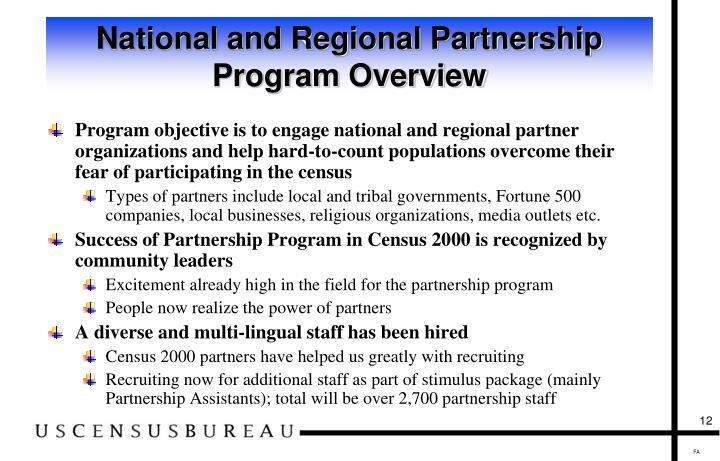 Types of partners include local and tribal governments, Fortune 500 companies, local businesses, religious organizations, media outlets etc.